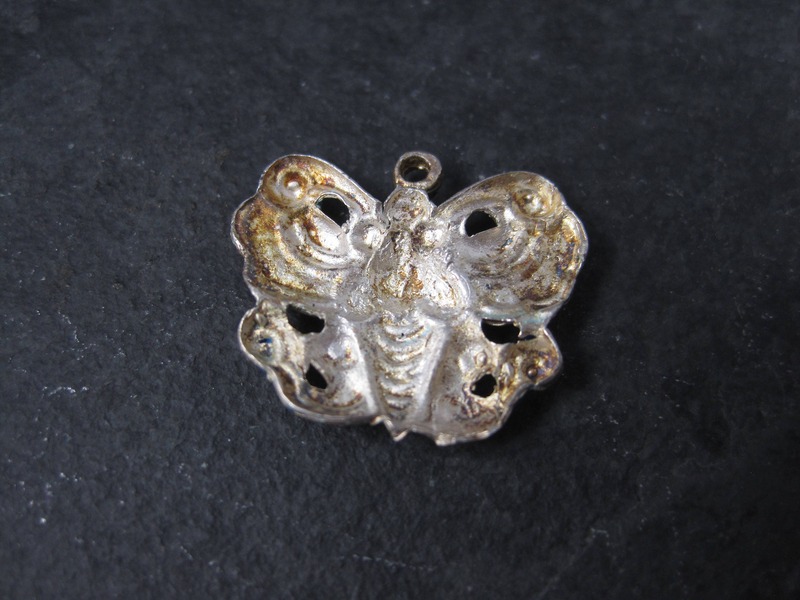 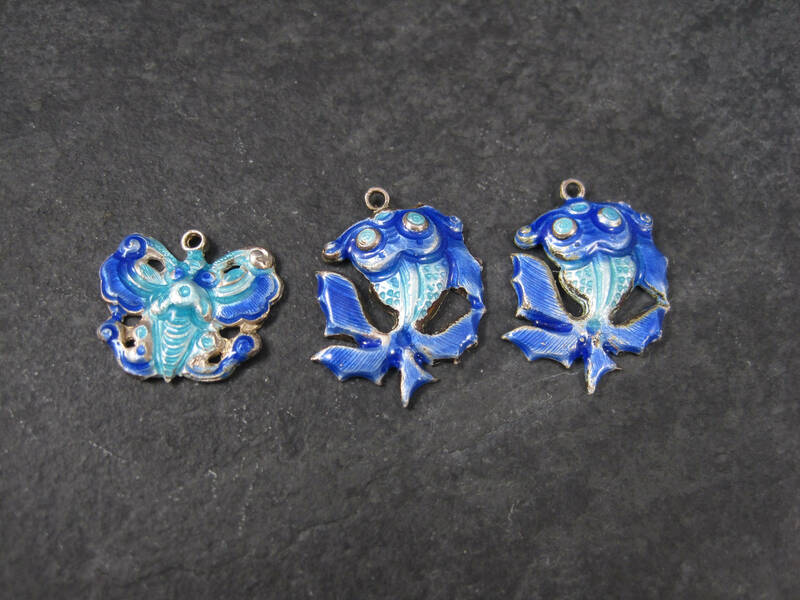 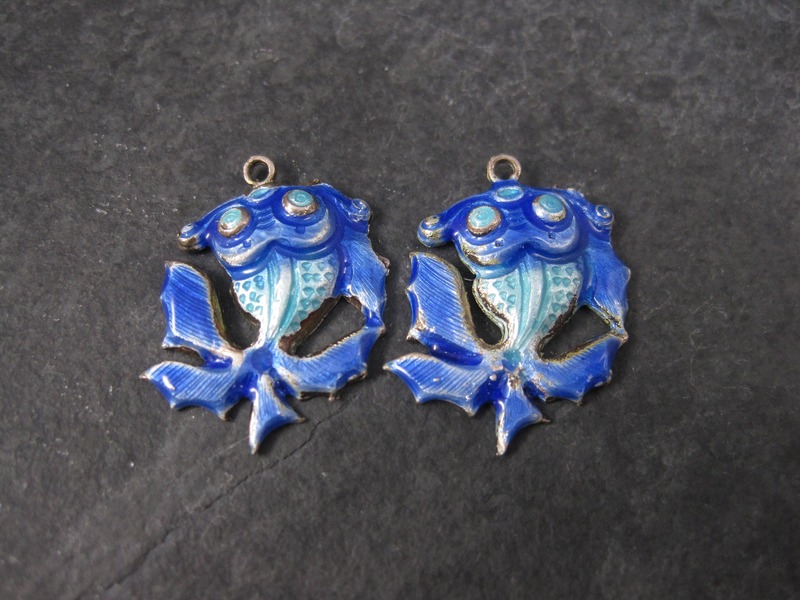 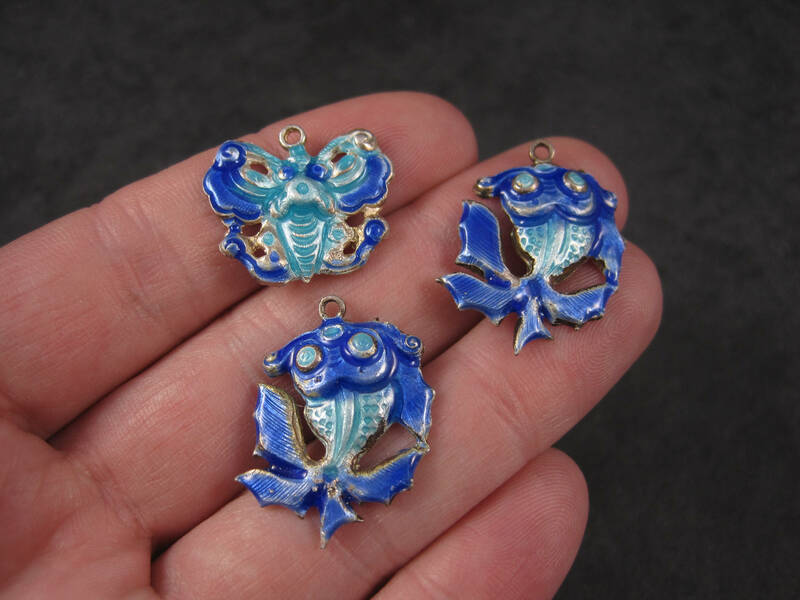 These beautiful antique charms are silver with dark and light blue enamel. 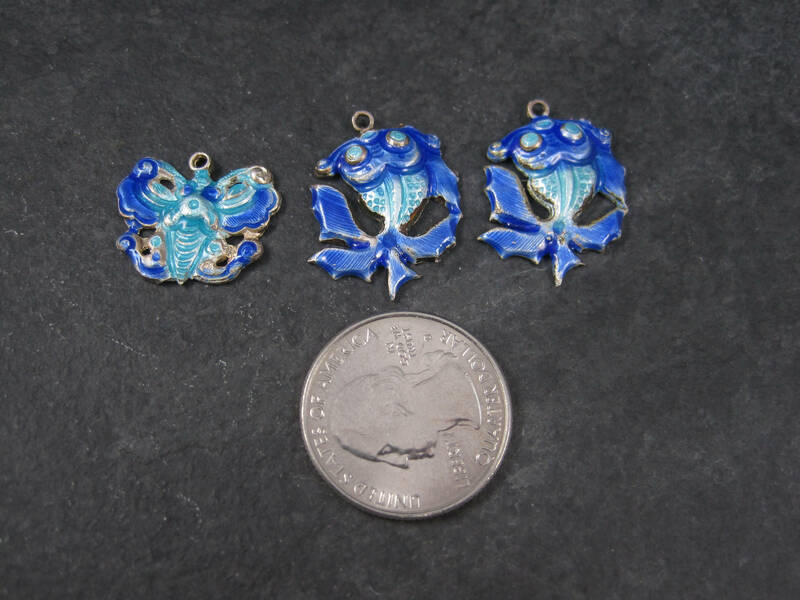 With a bail, they could be pendants or they could be used on a charm bracelet. 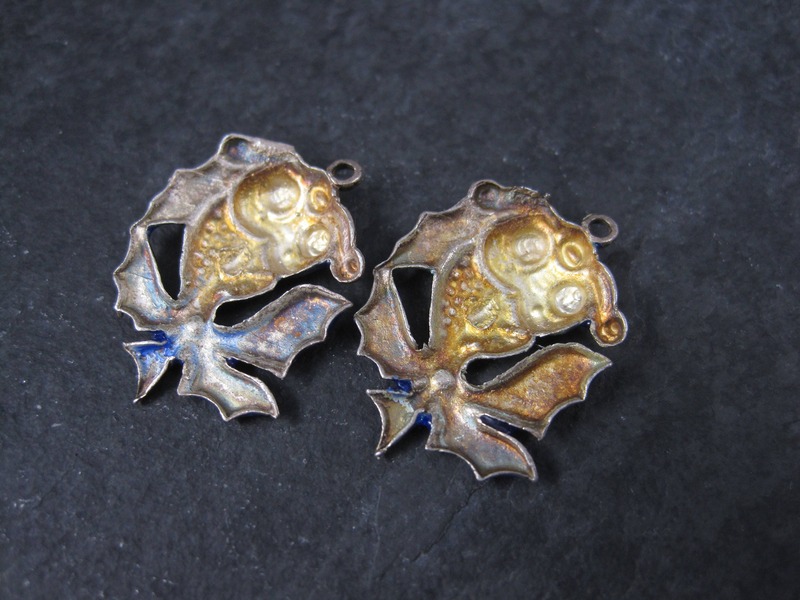 The fish measure 3/4 by 1 inch. 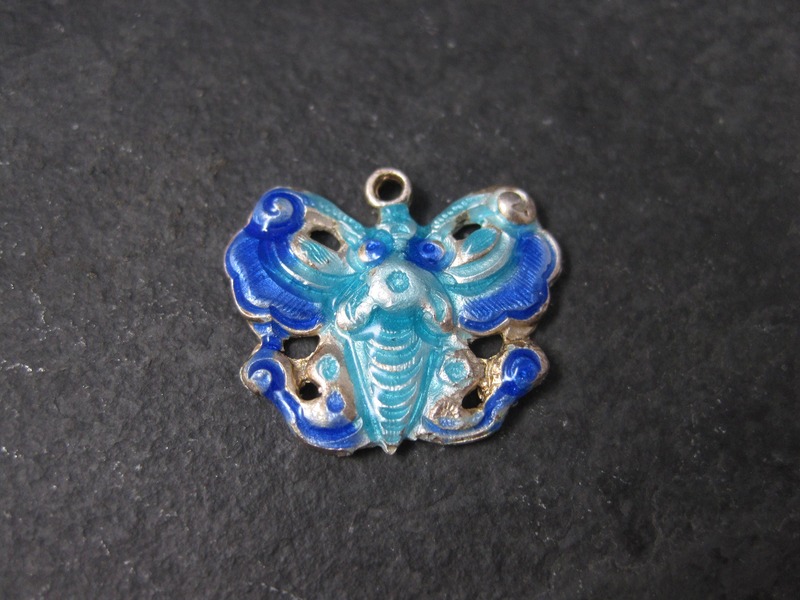 The butterfly measures 13/16 by 11/16 of an inch.